Sing he did, before church congregations and annual gatherings at the Mt. Sinai Holy Churches of America convention. Bishop Bruce V. Parham Sr., PhD. parlayed his grandmother’s admonition into an integral part of his ministry. 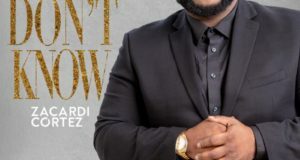 Your Presence, available this month, is the latest example of his beefy tenor and love for contemporary and traditional songs and hymns of the church. Balladic songs old and new seem to be Parham’s sweet spot. Two in particular stand out on this collection. Awash in strings, the title track is a lovely, gentle prayer delivered in almost recitative fashion by a Parham seeking a balm for the troubles of life through “quality time” with the Lord. 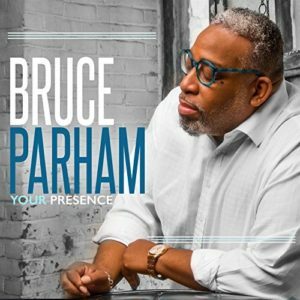 On the equally appealing and melodic “Speak to Me,” Parham receives ample support from his background choir, which delivers soft harmonies as live recording participants loft forward words of encouragement. In today’s gospel world, it seems almost compulsory to include at least one album track with an island groove. Mostly these turn out to be novelties but on Your Presence, Parham and his choir give us a lesson in ethnomusicology. 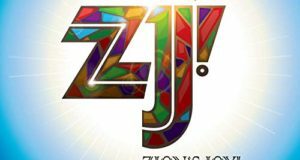 “Jamaican Medley” honors the Afro-Caribbean spirit of Jamaican music by opening with an antiphonic a cappella section of African harmonies that evoke South Africa’s Ladysmith Black Mambazo, though without the polyrhythm. The medley eventually transitions to conventional reggae, but the first part makes for particularly fascinating listening. The bracing radio single, “Have Your Way,” is a disciple’s declaration to open up his life through salvation and embrace change fully and completely. 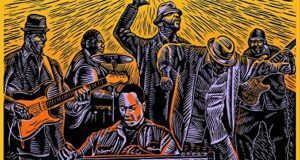 The live audience really engages with Parham and company when they cover Thomas Whitfield’s arrangement of “I Shall Wear a Crown.” The sweet harmonies, crescendos, and decrescendos wash over the listeners like warm waves of water at dawn. Parham concludes the album with a solo version of Raymond Rasberry’s classic “Only What You Do for Christ Will Last.” Accompanied by suburb piano work from Brandon Jones, who follows the leader like a veteran music minister, Parham delivers a church solo that would have been right at home at the Mt. Sinai Holy Churches of America convention. His grandmother would be pleased.